Xenograph Arms II - Active Again! 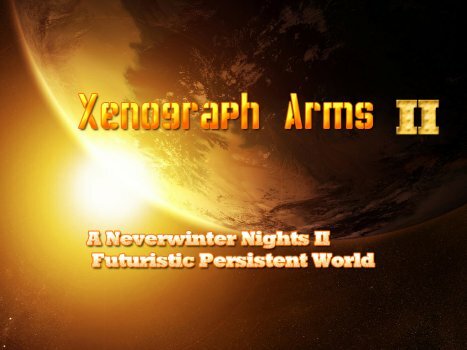 We are proud to announce that we are bringing back Xenograph Arms II. A futuristic persistent world for Neverwinter Nights 2. The world is currently live and is awaiting eager players. We will also be looking for GM's to monitor the world based on the amount of players we get. We hope to roleplay with you soon!